The descriptions of forests and rivers and the personalities of the characters are delightful listening. This a not only a story for children all about the adventures of stalwart Rat, loyal Mole, down-to-earth Badger and the ever-irrepressible Toad. Kenneth Graham appears to have been also a keen and loving observer of nature: his descriptions of the English countryside, its herbs and animals, are breathtakingly beautiful. Add to this the simply delicious reading by Michael Hornden, complete with spot-on characterizations and the jauntiest motorcar horn you're likely ever to hear and what you have is an audiobook to put right next to that old hardback copy you have stashed away among your treasures. Classic novel I've been meaning to read for a long time. Michael Hordern is a wonderful actor/narrator. He created interesting characters with his voice and inflection. I really liked his British English which kept me in the time and place, yet transcending both. I don't usually like novels with animal protagonists, but Kenneth Grahame's Wind in the Willows is a must read - if only to hear him read "there's nothing like messing about in boats." Would you consider the audio edition of The Wind in the Willows to be better than the print version? No. Nothing can replace the cognitive experience of reading printed words. However many of us do have learning disabilities and audio books are a lovely solution. In addition , a book of this quality would be ideally suited for younger readers to listen to as they develop their reading skills. I listened to it while recovering from heart surgery when fatigue made managing a book far too difficult. The lovely gentle adventures and friendships , the beautiful descriptive language - it was all very calming and restorative. What made the experience of listening to The Wind in the Willows the most enjoyable? It was a childhood favorite of mine AND my children's, so I loved the story, but the reader was absolutely wonderful, bringing to life each and every character perfectly. Which character – as performed by Michael Hordern – was your favorite? This is billed as a children's book, but like so many others, incorporates so many adult concerns. My favorite part was actually the beginning, when Mole crawled up into the light - away from his mundane existence, and began to live - it spoke to me, because often I catch myself living a mole's life, when I know that I should come to the surface more often and just live. This book is perfect for any age. I first read The Wind in the Willows with my children nearly 30 years ago. I loved it and so did they. I still have the book, all tattered and dog-eared. 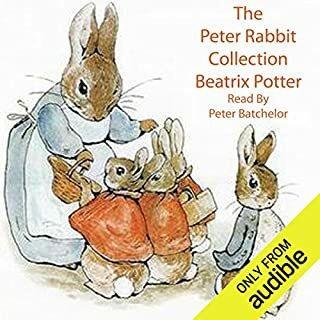 Now, collecting ideas for stories my grandchild may love, I got this audiobook. Love again. The narration by Michael Hordern is as lively and sweet as the story itself. The pace of the narration is perfect for a bedtime story, which it has been for me for the past week. Never hurried, Sir Michael speaks every word fully: playful where the story is playful, lightly solemn when the story turns to contemplate the mysteries, poetic in the descriptions of the natural world. So much more than a wonderful story for children of all ages. The values and life lessons in how to treat you're friends and those in need are best learned thru these wonderful characters. Read this book again and to you're children and grandchildren. The performance of the narrator was simply terrific. The narrator really brings this story alive! 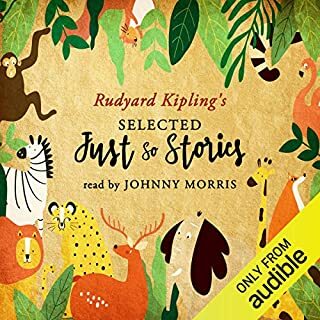 This is a well loved story in my family, it was a joy to listen to it done so well. A wonderful reading by Michael Hordern, which greatly adds to the text itself. Would give it six stars if available! Narrated by the wonderful Michael Horden, this is and all time classic. You follow the well known adventures of Ratty, Mole, Badger and Mr Toad as they have fun on the river, scares from the weasels in the Wild Wood and deal with the extravagances of Mr Toad. If you don't know the story i urge you to read it, children of all ages will love it. If you do then this is the version to get. Story and narrator are top notch, however a little confusing as chapter 2 is chapter 3 and chapter 3 is 5????? Please just tweak this and it will be perfect. If you could sum up The Wind in the Willows in three words, what would they be? What about Michael Hordern’s performance did you like? The performance was very warm and wasn't rushed, the perfect fit for this book. A tale of obsession, discovery and friendship. 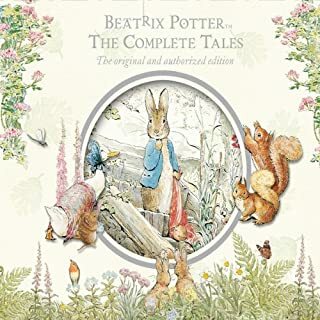 As a child I used to listen to Alan Bennett reading an abridged version of 'The Wind in the Willows' often and the story is one my all time favourites. I am now 33 and so returning to this classic I was a little unsure if it would hold up but I enjoyed it very much. I thought Michael Hordern’s performance was excellent as his gentle pace and warm voice fit the story perfectly. 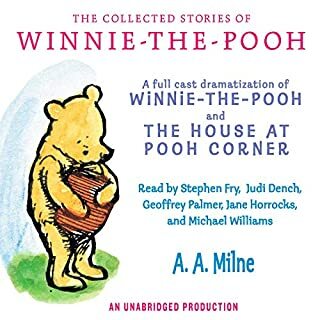 I heartily recommend this audiobook for a family classic presented perfectly. Loved this more than I ever knew I would. All of life in a "poop poop". 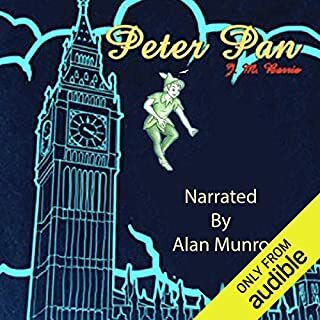 I can see why this is still regarded as a classic and is still enjoyed by youngsters and adults alike.A brilliant narrator in Michael Hordern,a fantastic purchase. The narration was very good, pleasing to listen to, but the sound was not always good. The chapters listed with the recording do not correspond to the narration so it was impossible to backtrack to aid the listeners. This was really enjoyable. The characters are as warm and loveable as I remember from when I was a child. Felt a bit longer than it needed to be in some parts but in a way that just added to the lovely languid atmosphere of the story. Wonderfully narrated by Mr Hordem who got the characters spot on. Epic tale about adventures animals! 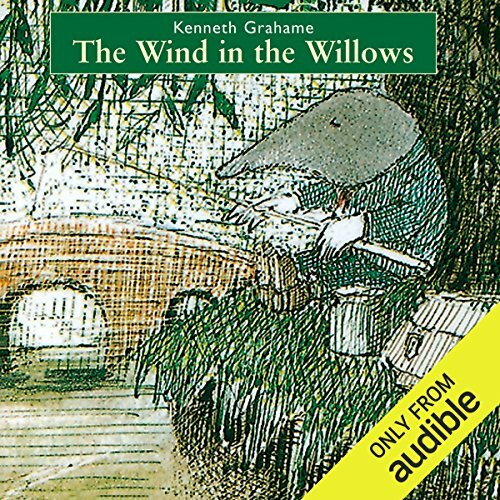 Where does The Wind in the Willows rank among all the audiobooks you’ve listened to so far? I understand why this is a high ranked classic on so many lists. Character depth with out almost any backstory and given as bits and pieces of the story is fantastic. Really enjoyed how you could visualize each character and predict how they would react to each situation. It was easy to give this book and Michael Hordern a clean 5/5! Such high quality literature deserves a high quality reading. it is the type of book that was written to be heard, and it would be easy to listen to it over and over again. Pure enjoyment. One of the most wonderful children's tales certain to entertain and warm the hearts of young and old alike. Sir Micheal Hordern's narration is excellent. His lovely gravelly voice and wonderful characterisations give the feeling of listening to a much loved grandfather telling you stories. I will listen to this again and again. Thank you Audible. A great story. Must admit this is my first time reading and I loved it. 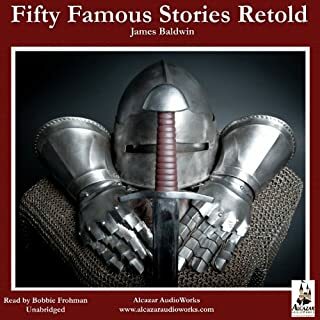 Famous story but the audio recording is hard to follow, possibly due to a lack of skill.